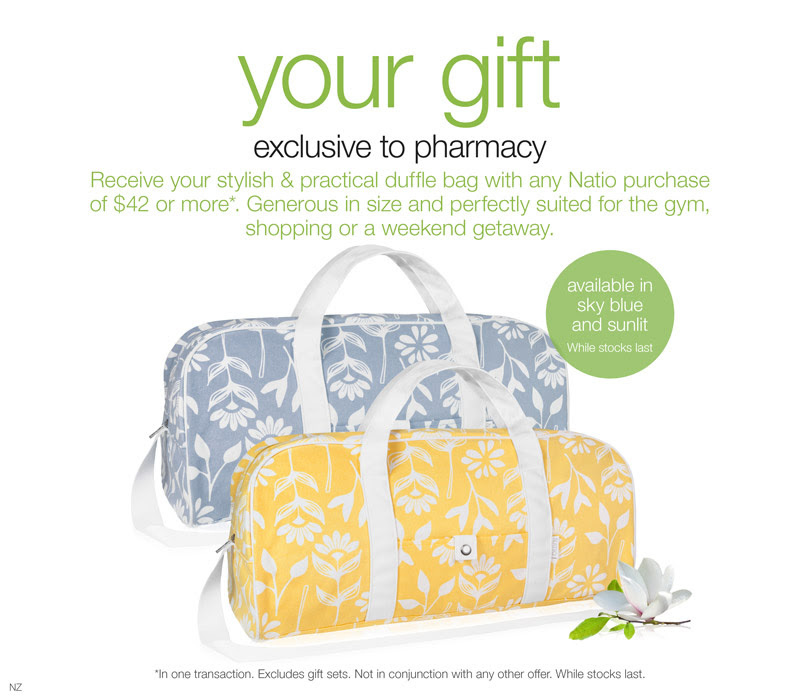 Receive Your stylish & practical duffle bag with any Natio purchase of $42 or more (in one transaction. Excludes gift sets. Not in conjunction with any other offer. While stocks last.). Generous in size and perfectly suited for the gym, shopping or a weekend getaway. Available in Sky Blue and Sunlit, while stocks last.